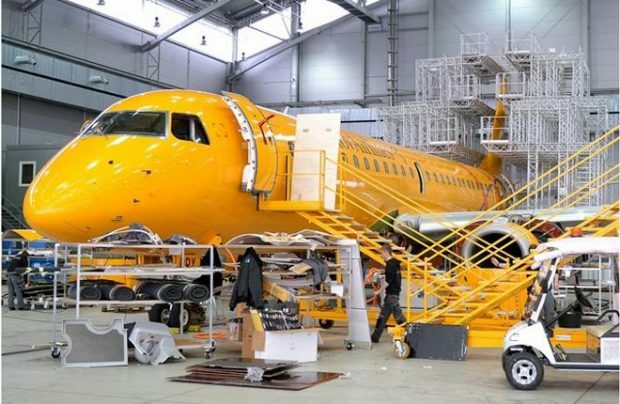 Russian passenger carrier Saratov Airlines has sent one of its two Embraer E195 (ERJ190-200) airliners, registration VQ-BRY, to Rzeszow, Poland for a C-check. The maintenance operations will be carried out by the local MRO provider Linetech, the airline reports. The carrier’s second of the type, VQ-BRX, will follow as soon as the first one has been serviced, i.e. in a month. The carrier’s choice is explained by the absence of MRO providers in Russia that would be approved to perform C-checks on the type. The checks will involve a total of 600 inspections, including on airframe components and the General Electric CF34-10E powerplants. Cabin equipment will also be inspected. This will be the second time the carrier has asked the Polish provider for assistance. The operator had its aircraft undergo maintenance with the same company in the spring of 2016. In June 2017, Saratov Airlines led the world in terms of E195 daily utilization rates. According to the Russian Air Transport Agency, apart from two E195 the airline also operates five Antonov An-148s (sub-leased from Rossiya Airlines) and a single Yakovlev Yak-42D.